All levels of experience are invited to step onto their mats for Gentle Yoga at the Library. 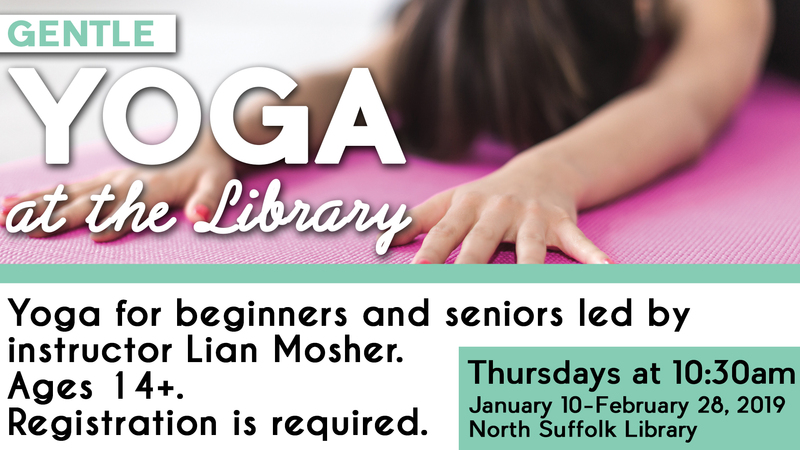 Led by Lian Mosher, this class is perfect for beginners and seniors. Ages 14+ Bring a yoga mat or towel and wear comfortable clothes.